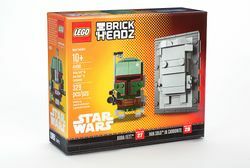 41498 Boba Fett & Han Solo in Carbonite is a Star Wars BrickHeadz set released in 2017. This set was exclusive to the 2017 New York Comic-Con, where attendees hadthe chance to enter a lottery. Winners of the lottery were given the opportunity to purchase the set. 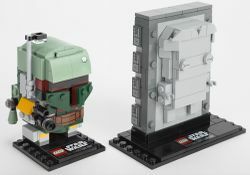 Facts about "41498 Boba Fett & Han Solo in Carbonite"